With 20 years of experience in the IT industry in a variety of industries, I know the ins and outs of hiring and firing. It's always exciting to get a team together but I hate making mistakes in hiring people. It's easy to look into the rear-view mirror and see how you made the mistake, but it doesn't take the pain or cost away. I've worked in the IT industry for a long time and been a programmer the whole time. I love learning new technologies and development platforms and its always great when your working with a good team. 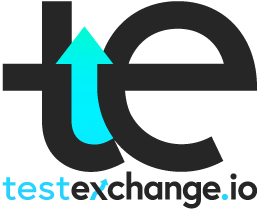 I'm hoping TestExchange can help us all make good decisions in assembling teams with the skills we need. It's great to sit around a table and draw up ideas on a napkin over a glass (s) of wine. When we decided to do this, we thought we could not only help ourselves and prevent our own hiring mistakes while saving time and money, but we could market this as a product that could help a variety of disciplines. If you are interested in saving time interviewing while finding the right person for the job, that can really help your team find defects, write test cases, and analyze problems, sign up today.